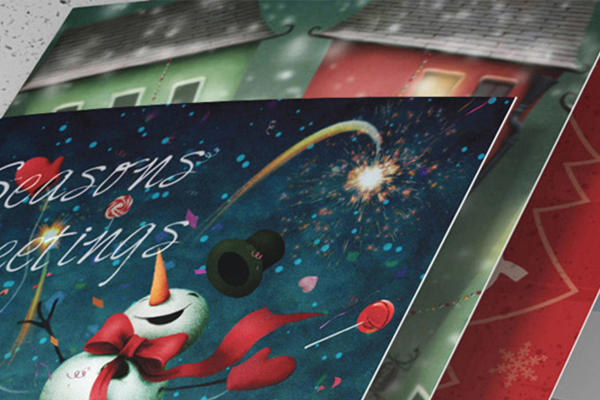 Clarkeprint can take care of all of your corporate Christmas branding requirements from calendars and Christmas cards to wrapping paper. Whatever the size or specification of your requirements the team will be delighted to support you in ensuring your brand is at the forefront this festive season. Don’t forget to ask us about the broad range of personalisation options across the range of products. Calendar printing using our digital printing technology is very quick and efficient, we have a range of stock designs suitable for desk and wall calendar formats and our design studio is on hand to fulfil your bespoke requests. Sending professionally branded Christmas cards to your customers and potential clients is the perfect way to start happy holiday season. Why not order corporate wrapping paper with your logo for any corporate gifts, taking your seasonal giving to the next level! If you would like to discover more about our range of calendars, Christmas cards and wrapping paper, and how they can be personalised for your company complete the form below or call the team on 0121 454 7117.